Today, organic food evokes the image of well endowed socialites who shop daily at Whole Foods. The only bad press headline the grocery chain has received is, “Whole Foods [also known as] “Whole Paycheck”. 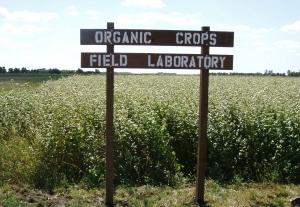 According to Pollan, high cost seems to be the driving factor in today’s organic market. When you go into Whole Foods supermarkets, what do you first observe? It’s a very clean, glossy, positive environment. According to Forbes magazine, Whole foods seek to seduce the consumer with theatrics so they can forget about how expensive the food they’re purchasing is. They question why anyone would spend over four dollars on tomatoes? What if they’re “heirloom” tomatoes described as precious jewels by the farmer? Well, four dollars isn’t too much for a precious jewel, now is it? However, to create these precious jewels requires a lot of output for organic farm workers and is one reason for such a high cost. Organic food must be grown without pesticides. The labor workers hired by these organic farms can get a raw deal because of this. According to The Nation, every farmer who produces organic will say the only way to get rid of weeds without those pesticides is to weed by hand. The weeds need to be removed one at a time. Carmen Carreras, a shopper at Whole Foods said “workers on organic farms must work hard, but I imagine they don’t get as many illnesses related to their work”. Is Carreras right? Are workers not getting illnesses on the organic farm? According to Moises Olivera, weeding by hand (so as not to use pesticides and chemical weed killers) is painful. “You go along on your knees”, “there is a constant numbing pain”, he says. In a recent study about half of the injuries reported to occur on organic farms were the cause of strain while weeding. In a small town outside of Bakersfield, California Latino women work dutifully, hovering over a conveyor belt. Their supervisors eying the employees like hawks. Limiting their bathroom breaks to no longer than 7 minutes. They would use harsh words with the employees if they so much as utter a word or look up from their work. What’s on this conveyor belt? Tons of pounds of organic carrots being mechanically pulled apart to create the tiny, yummy, crunchy little orange snack food America loves: organic baby carrots. The uneducated consumer assumes the organic food they’re purchasing was produced by workers who were provided good working conditions.